I have quite a lot to be thankful for this year. Not only the fact that you're all here, actually reading this (thank you to the fantastic writers and editors at The Washington Post, Time, NPR, and Save the Post Office, as well as to several other outlets to be unveiled shortly). Thank you to those who have contributed, through comments or email: photographs, suggestions, and your own meaningful post office stories. Keep 'em coming! 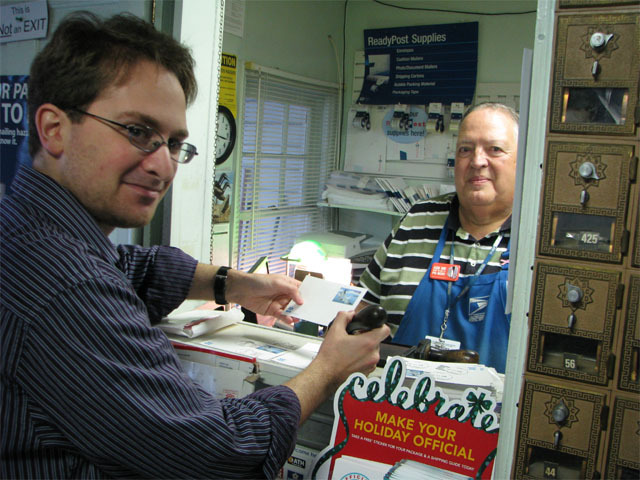 This year I've not only started to do interesting graduate work at the University of Pennsylvania, but I've been able to make the time to visit more than a thousand post offices -- getting postmarks, taking photographs, meeting some very wonderful people, and learning many unique stories. I know that millions of you nationwide are thankful for the fact that your community is [still?] served by a U.S. Post Office. Remember, the U.S. Postal Service's core mission, by its birthright, is to serve us; it was founded to bind our country together -- and this means all the communities of our great nation. Its mission is most certainly NOT to be profitable in every small town or non-affluent community: it's the U.S. 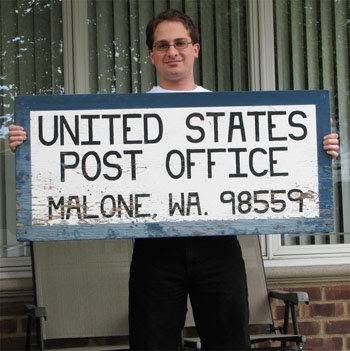 Postal Service; not the U.S. Postal Business. I ask that you do not take this distinction lightly. Let's explore this corner of Wyoming. I suppose it's best to do so the way I did it: starting with Devils Tower, our nation's first National Monument. That was one of my intended destinations for my cross-country road trip; it fit in-between the Badlands of South Dakota and the wonder that is Yellowstone. What is now one of the recreational climbing meccas of America has been a sacred location for Native Americans for centuries. Many tribes' legends pertain to bears -- the "Bear's Tipi" is a common reference. Many tribes' legends and rituals are kept private, but you can learn more about Devil's Tower as a sacred site here. The site was formed about 50 millions of years ago -- underground -- as an intrusion of magma that bubbled up, separated the sedimentary rock, and solidified. The hexagonal columns you can still see are a result of the cooling of the molten rock. Scientists believe that the formation was exposed as the covering rock was worn away within the past couple million years. Experienced climbers can register and go up; an experienced guide can lead you up for $250 (at least back in 2008). The National Park Service provides an FAQ about the site. 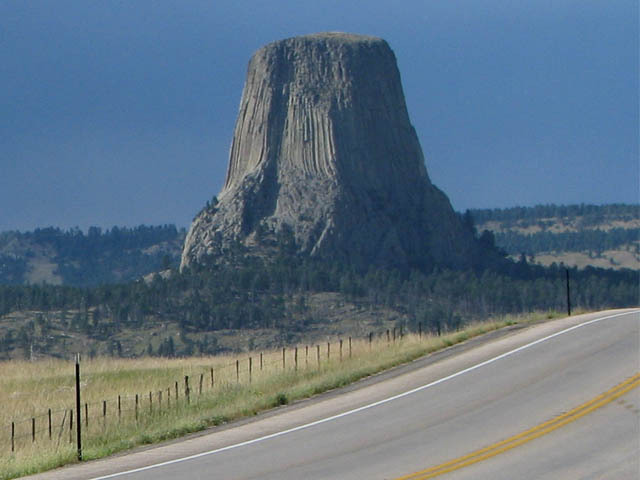 The total height of Devils Tower, from base to top, is 867 feet. Approximately 4,000 visitors climb Devils Tower every year. The post office is currently threatened with closure as part of USPS's "Expanded Access" [Thousands Fewer Post Offices] initiative. Here's a list of all offices in Wyoming threatened as part of that program. 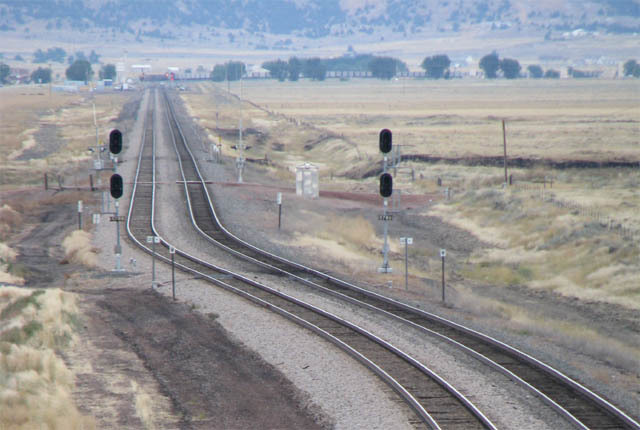 Here's a photo from a railroad overpass, showing the town of Rozet, several miles away, in the distance. If you can look closely, you can even see a coal train making its way from one of the coal mines around the large town of Gillette. I've gotten dozens of pictorial cancellations, but this was different: Postmaster Redfield literally climbed the sack of mail with thousands of people's requests for postmarks from all over the world, and applied the postmarks ON TOP of Devils Tower. He had the sack of mail on his back while he climbed that 800-foot, vertical-walled behemoth. That is astounding in and of itself. So when I stopped by Rozet, stated that I drove out from New York and that I wanted his postmark, not only did I get a standard Rozet postmark... he saved a special set of those envelopes ("covers") which he had carried to the top of Devils Tower, each with a different commemorative pictorial postmark on it, and he gave it to me. It was incredibly generous and meaningful, and so I thank you, Postmaster Redfield, today. The envelopes are in a safe place. 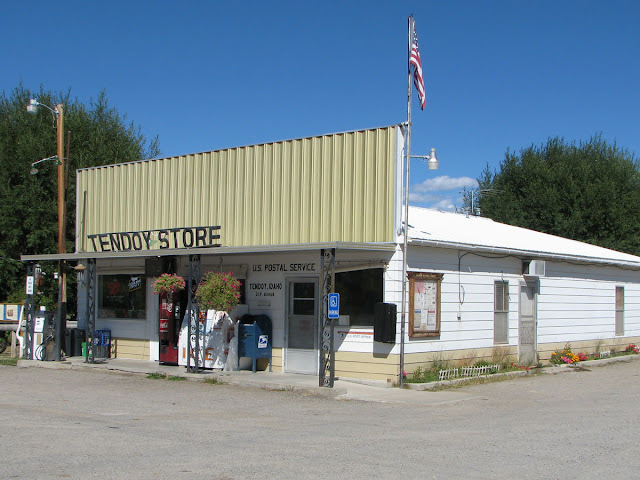 This day also included experiences at other offices in northeastern Wyoming, which I detailed in my fourth-ever entry for this blog: As Rural as it Sounds -- Recluse, Wyoming, et al. 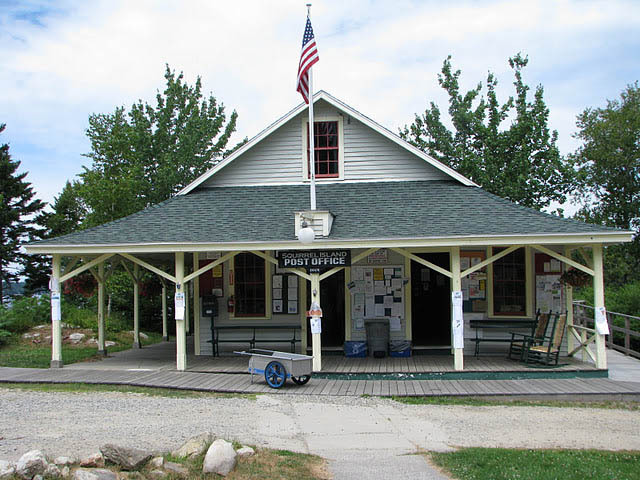 This was the very day that my appreciation for post offices first took hold, and during which visiting them became an integral part of my overall experiences while exploring America. Here's a parting scene of some of the residents of Rozet. 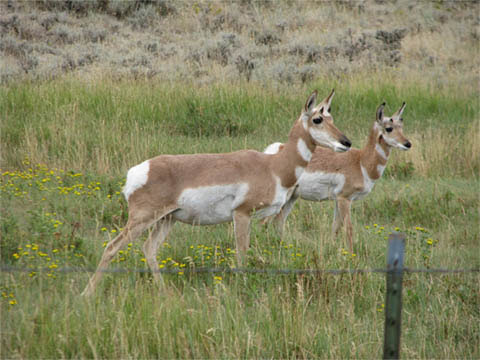 I'd never seen antelope before! I am Proud to be the climbing guide that was privaledged to take the Rozet, Wyoming Postmaster Bruce, to the top of Devils Tower, for the Special Hand Cancelation of the envelopes. It was in 2006 and Devils Tower was celebrating its 100th anniversary of being a National Monument. The Special Cancelation was set for July 4th!!! The Post Office collected mail,for anyone who wanted that Special Cancelation. We started our climb to the Tower Top that afternoon, arriving at sun set. Bruce had me haul a large cutting board, along with all the mail, so that he had the Best possible place to work. And work he did; hundreds of envelopes, each carefully stamped and cancelled!!! We were able to enjoy the view, looking DOWN at the local fireworks going off BELOW us!!! AMAZING!!! When the fireworks were over and the cancellations were completed, we rappelled down, with the headlamps on. What a Wonderful Night. One of the wonderful things about USPS's pictorial postmark program is that any small community around the country can receive its 15 minutes of fame with publication in USPS's biweekly Postal Bulletin (and Linn's Stamp News). With these special cancellations, USPS was very clever -- commemorating Toy Story in Woody, CA? Right on. What about the Up stamp, featuring a dog? Why in the world would they give it to Squirrel Island, ME? It's actually exceedingly clever, and hopefully this brief YouTube clip [opens in new window] will help shed some light on why. That clip tends to repeat itself a lot in this film. The three postal tourists headed to Squirrel Island the same day we visited MacMahan. We spent a bit of time exploring downtown Boothbay Harbor, and had lunch at a hot dog truck while we waited for the next ferry. Fortunately, in this instance, a ferry does serve the island. 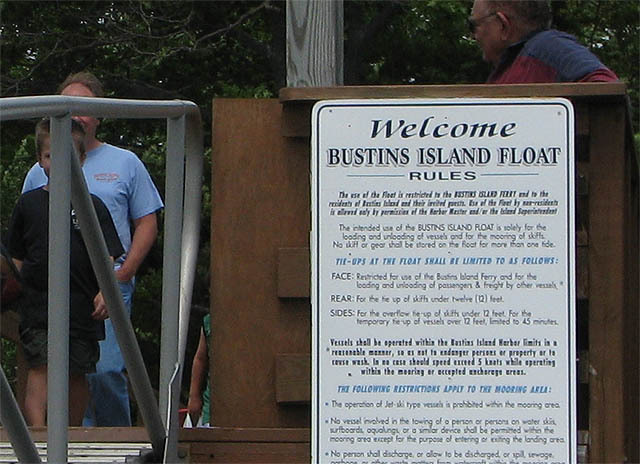 It's a few-dollar, half-hour trip from Boothbay Harbor. The ferry agreed to wait a couple of additional minutes at the island while our trio walked the couple of minutes to the office and snapped our photos. The P.O. itself had already closed for the day [it's open from 10 to noon], which probably worked in our favor since we would have felt like chatting. That all said, let's have a look! 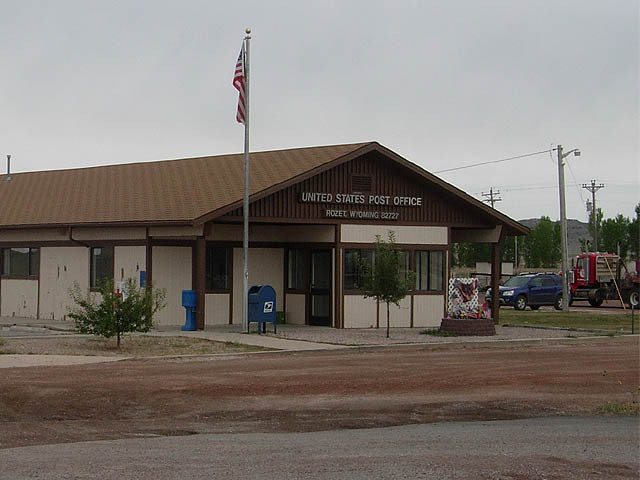 The 'Ora S. Dodge' post office is one part of the de facto community center. Women had gathered inside the other end of the building and were discussing news of the day. The building also features several community bulletin boards, a couple of benches, a fire extinguisher, and an emergency phone as one might see on a college campus! 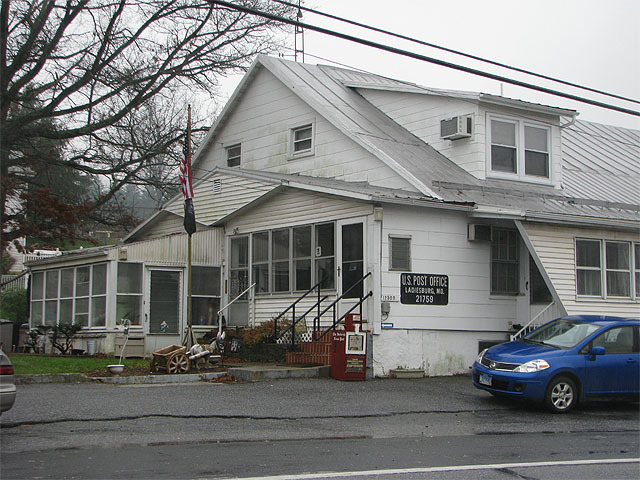 Here is the front of the post office. I suggest looking closely at the Ora S. Dodge sign and appreciating the adornment. As I've always said, post offices are a mark of community pride. You can see a couple of the aforementioned items by the beautiful, old-style mail collection box. 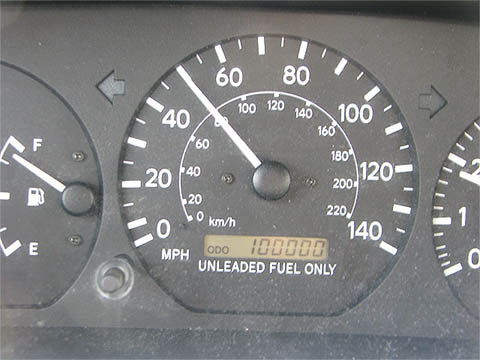 To this day I've seen fewer than ten of them in my travels. You can read more about Squirrel Island here. 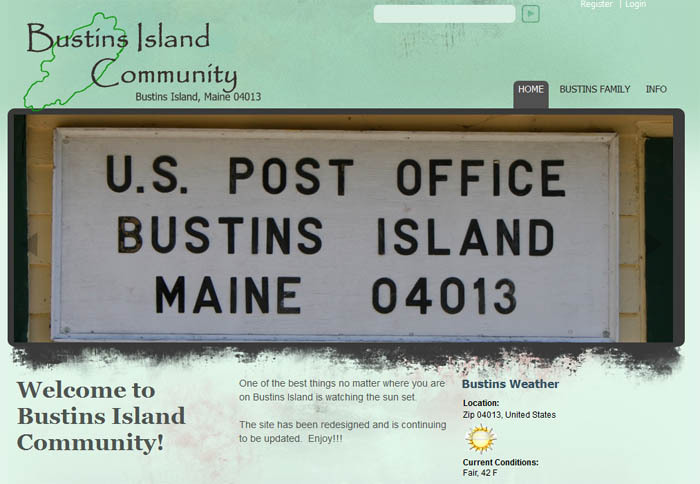 There are 17 Post Offices or CPOs (discussed later) on islands inaccessible by bridges within the state of Maine. Three will be presented in this trio of entries. 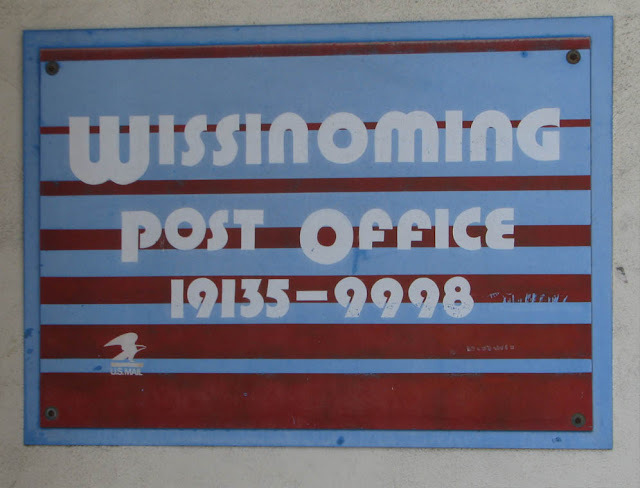 That said, let's start looking at some nice post offices! 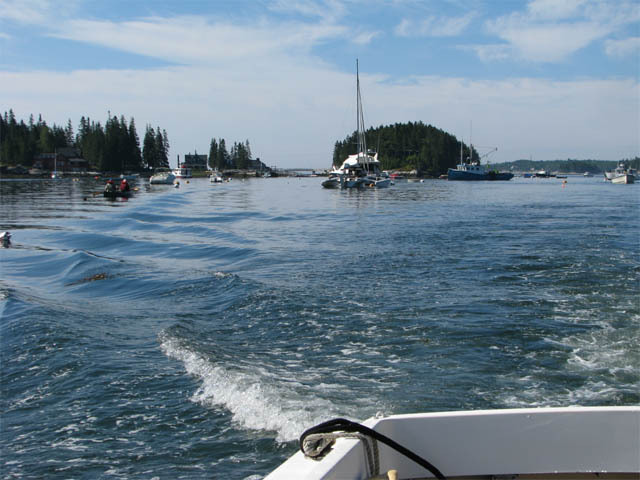 Here, what might be your initial mental vision of Maine -- sleepy harbors, boats and lobstermen -- would be spot-on. 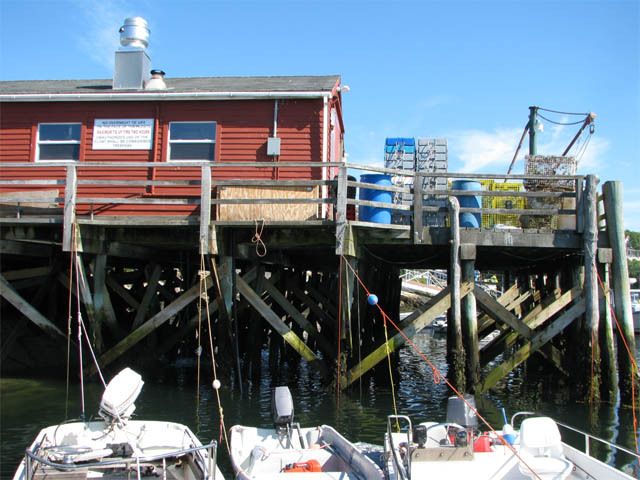 Upon arriving at the Five Islands harbor (which, of course, used to have a post office), we quickly realized that there's no easy way to get to MacMahan Island unless you're a local lobsterman or an Olympic swimmer. There are no scheduled ferries. Unfortunately, swimming with philatelic materials tends to result in the erosion of their quality, so we opted to find a boat. 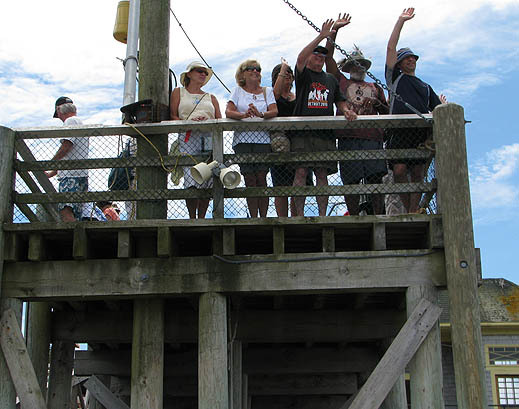 A captain's phone number was posted at the side of a shack on the main pier. A phone call foreshadowed his arrival 15 minutes later. He took a rowboat out, started up his vessel of pride, and for $45 [which eventually became $60 -- returning to the boat I realized that I'd left my camera at the post office and had to run back for it, so the waiting time kicked the price up a tad...] the three of us were able to take the mile-and-a-quarter trip to visit the island and the MacMahan post office. Inside were some of those nice old PO boxes that one would have seen back in the 1930s. There window was wooden and was shut for the day... 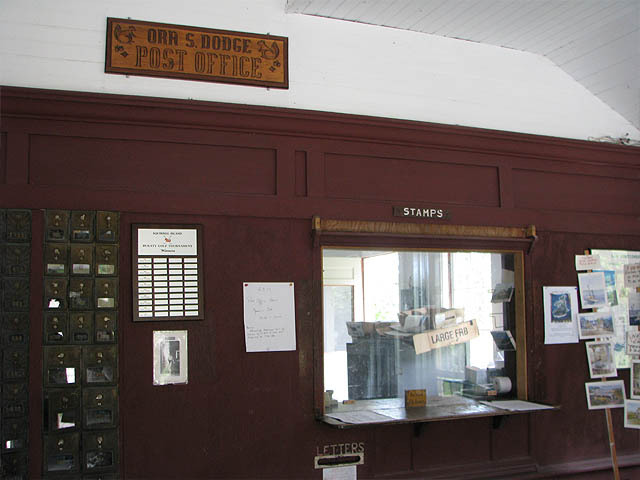 Since the post office wasn't open at the time, we all took our photos, slipped in our postmark requests with philatelic materials, explored the lodge a bit, and scurried back down to the main dock. 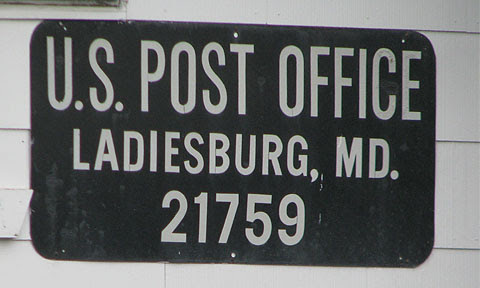 MacMahan used to have its own independent Post Office. For a while it was a Rural Station [former designation for a CPO] of the large town of Bath, about 14 miles away. 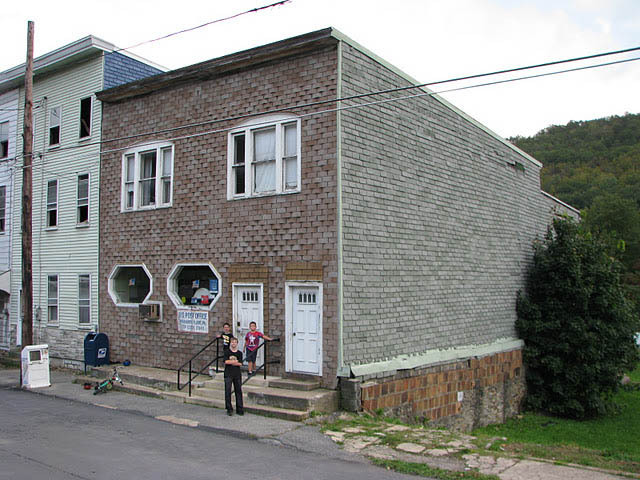 It subsequently became a CPO of Five Islands -- when it still had a post office, and is now a CPO of Georgetown. Now, let's head on over to Squirrel Island!